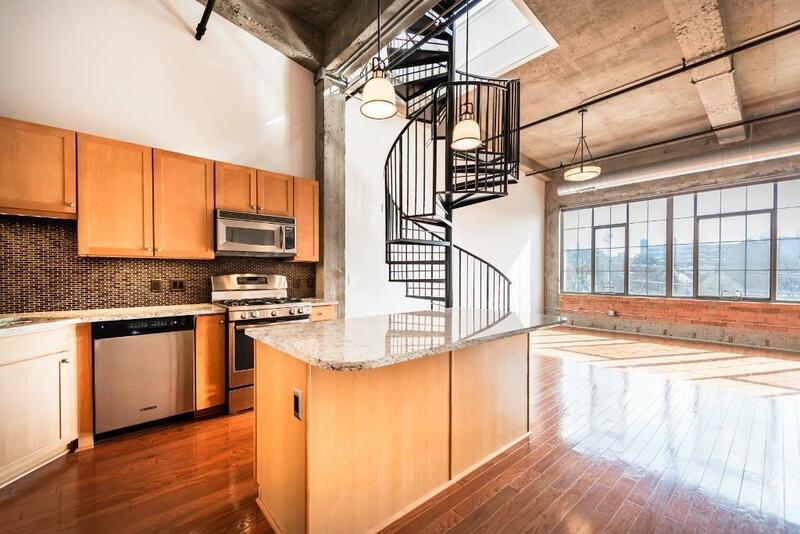 Rare two-story unit in Liberty Lofts offers an incredible view! Watch the sun rise over downtown Ann Arbor from your personal top-floor deck and walk to everything the city has to offer. Enter the condo into the modern upgraded kitchen with granite counters and stainless steel appliances. The kitchen also offers an island with breakfast bar for convenient entertaining. Combined dining and living room features a wall of windows and gas fireplace. Huge main level bedroom has another expanse of windows and a walk-in closet with professional organization. 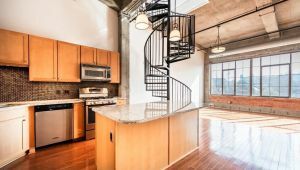 Up the spiral staircase, the second bedroom is full of light and offers access to the deck. Enjoy soaring ceilings and wood floors throughout the main living areas. This unit includes two reserved parking places – one indoor and one outdoor. Don’t miss this amazing condo in an unbelievable downtown location!